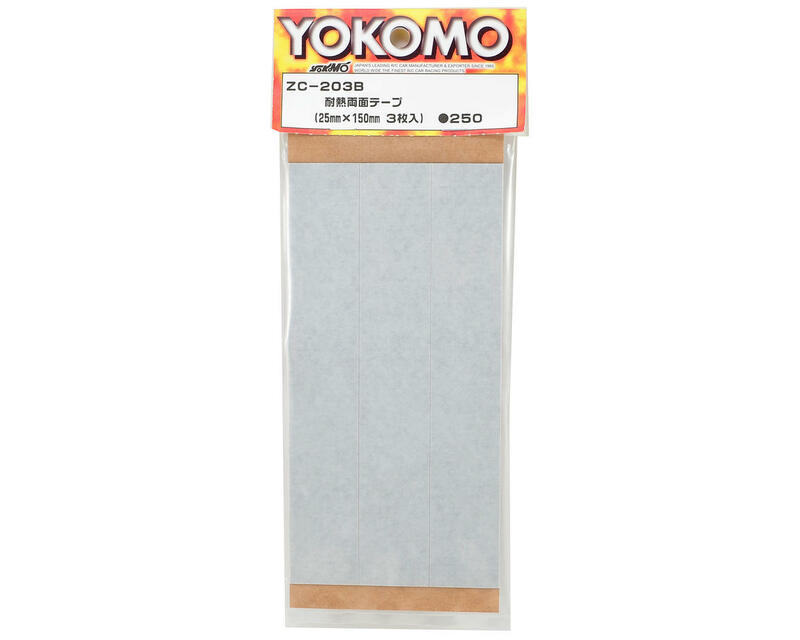 This is a pack of three Yokomo Heat-Resistant Double-Stick Tape Strips. This tape works great for securing ESC's, receivers, transponders and more. 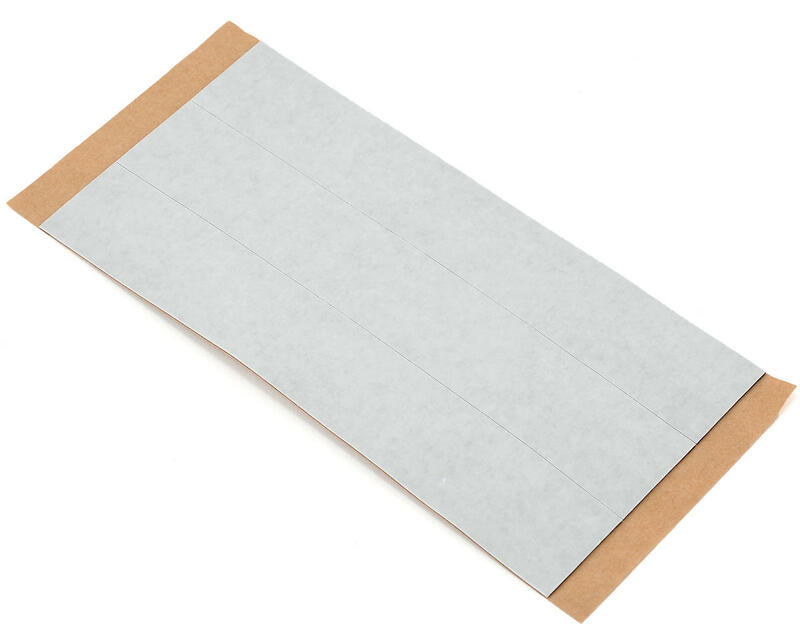 This package includes three strips with each strip being 150mm long and 25mm wide.